In October of 1988, Steve Aisthorpe went on a mission to climb Pumori, a 7,161 meter (23,494-foot) mountain near Everest with two of his friends, Kristinn Runarsson and Thorsteinn Gudjonsson. He did not know what would happen next was going to put a hole in his heart for 30 years. 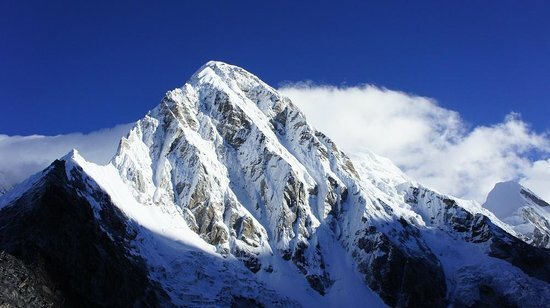 Unfortunately, during the climb to the top of Pumori, Kristinn Rúnarsson and Thorsteinn Gudjonsson suddenly went missing after they had left their friend back after he fell ill. He said that he would continue on and meet them at the campsite when he was feeling better. The loved ones of the pair had soon received the devastating news and a search soon began. As the years went by, the search continued. After many years passed you would imagine people would lose hope, but not these families. 30 years after of searching for their bodies, a shocking discovery was made. A discovery that brought closure and relief to many loved ones. A discovery that would finally take the stress and sadness in a way off of their chests. The remains of Kristinn Rúnarsson and Thorsteinn Gudjonsson were finally found at a bottom of a glacier by an American climber just last month. The discovery of their remains brought emotions to the families but also brought many people together and brought relief to them. Finally, the misery of not knowing what had happened to the pair of climbers could be resolved.